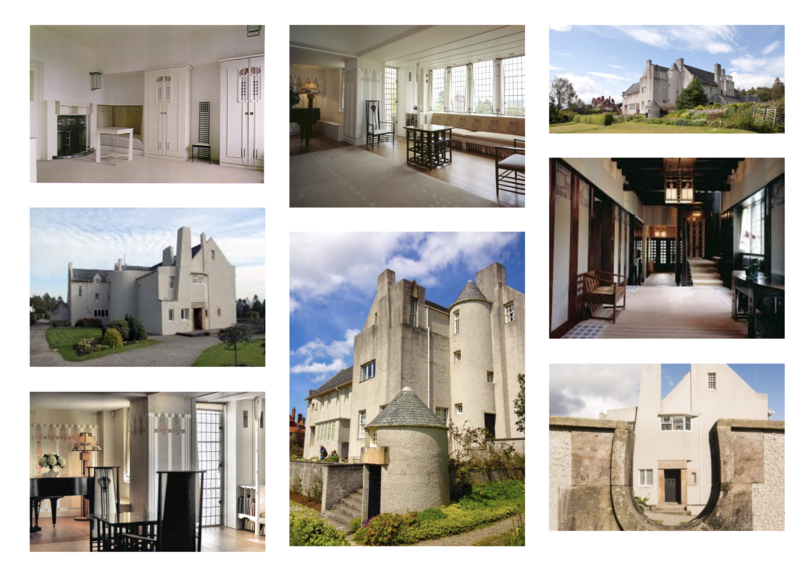 Charles Rennie Mackintosh (1868-1928) was a Scottish painter, artist, architect, and designer. 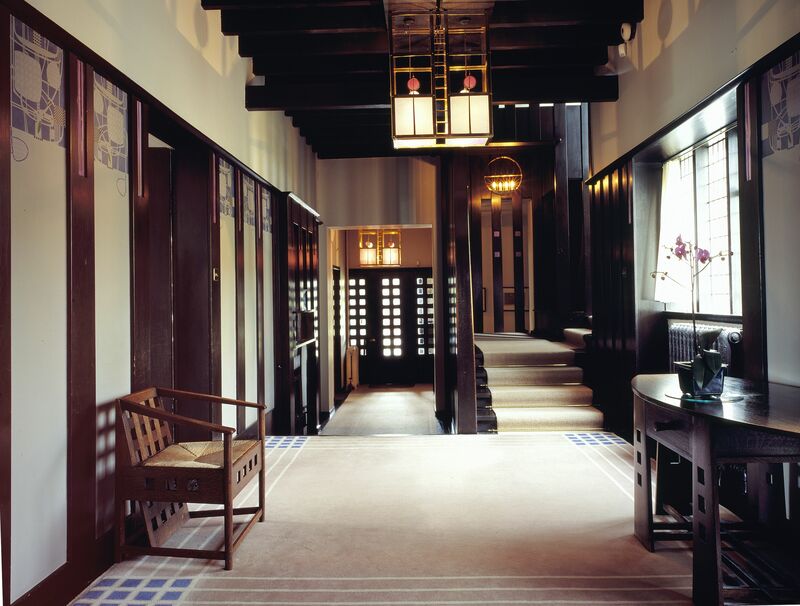 Aside from being most notably linked to the Arts and Crafts movement, Mackintosh, in my opinion, is one of the greatest pioneers of the modernism. Macintosh had an avant-garde approach to design. Most of his designs were completely original and all his own. His designs lack any historical references. He was greatly influenced by Japanese design, particularly by the simplicity of their designs and the influence of nature. 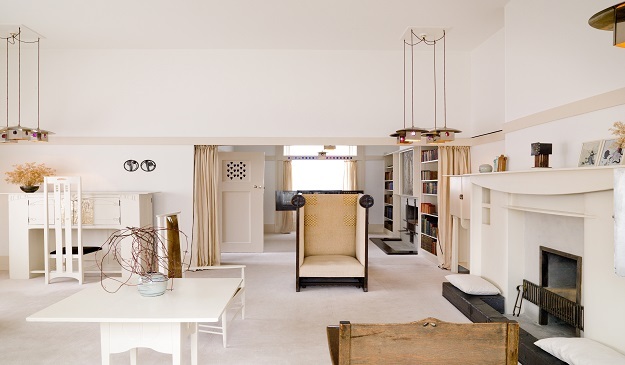 Mackintosh brought a cleaner, more geometric approach to design. His designs possess a balance of utility and function. 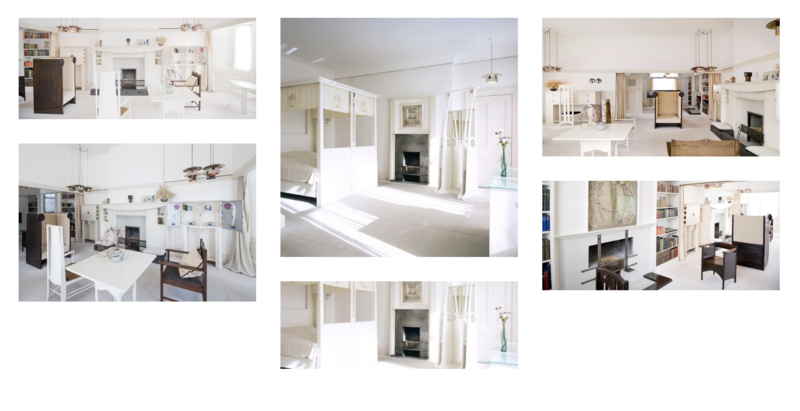 They were often unornamented, asymmetrical, functional, visually balanced of light and dark, designed to harness natural light, and had an overall balance of masculine and feminine qualities. 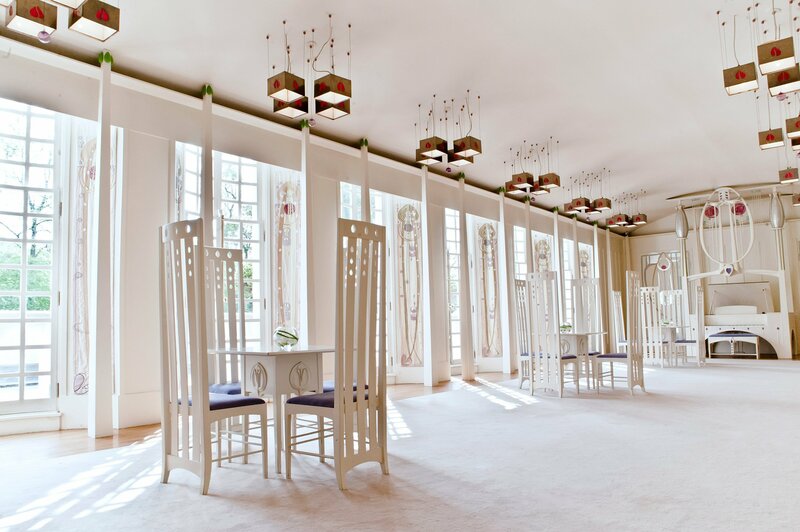 Mackintosh also designed in totality, meaning he designed everything down to the furniture and fabrics used in his all of his structures. 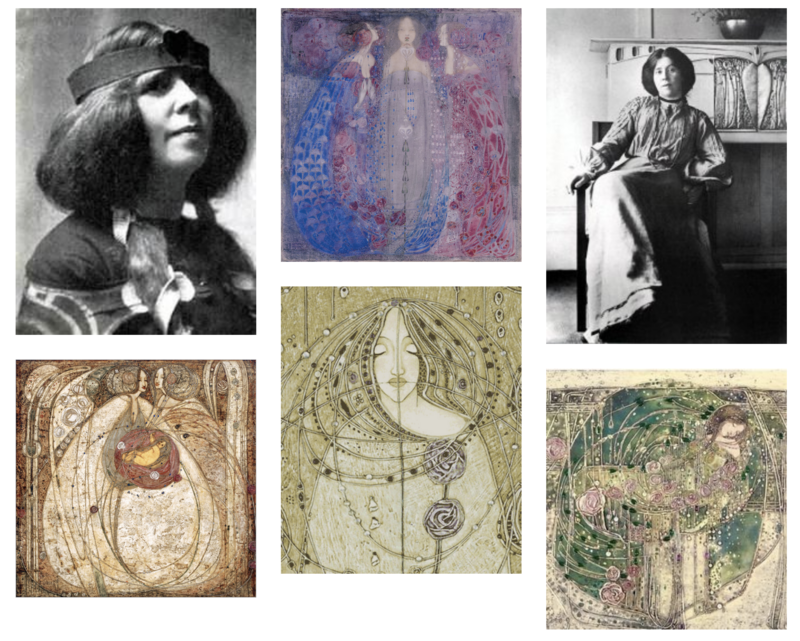 One of the greatest credits to Mackintosh’s success was his wife, artist and artistic pioneer in her own right, Margaret Macdonald. She often is left out of his story. 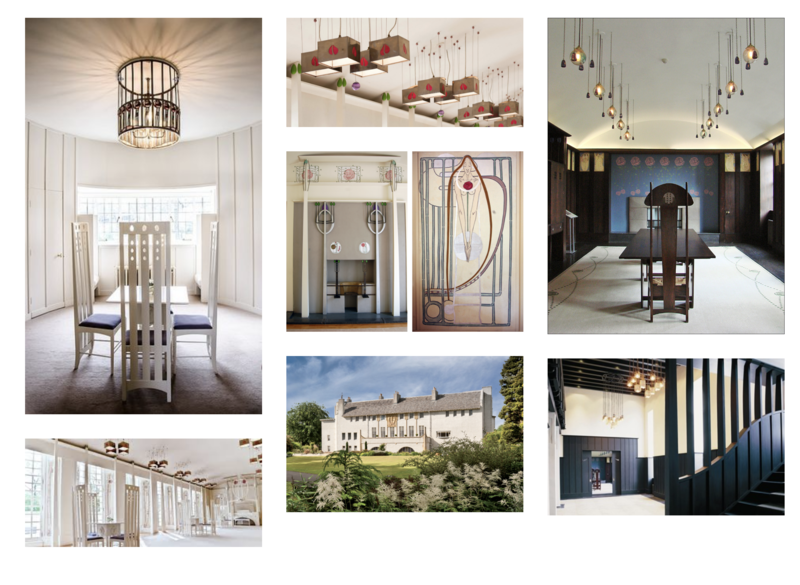 Much of, if not all of Mackintosh’s work was in collaboration with Macdonald. They made up half of the Glasgow artist collective known as, “The Four”; the other half or two were Margaret’s sister, Frances and her husband, Herbert MacNair. Margaret’s style is very predominate in Mackintosh’s designs. In my opinion, I believe that his work would not have ever been as successful without her influence. Many also believe she was an influence on Gustav Klimt. 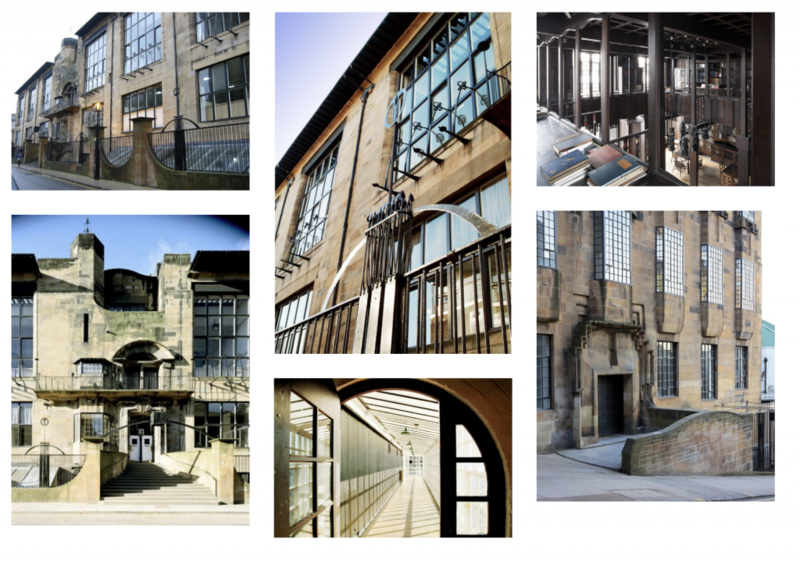 Mackintosh is one the greatest influences in my own work. In fact, years ago, the moment I learned of his work and studied him more, I had a bit of an “ah-ha” moment. Something clicked, I knew I was studying the right thing (interior design). His work truly moved me and left a huge impression on me. And that’s why I am going to start making this segment something of a reoccurring thing here on my blog. I’m truly an admirer of art and architectural history. It’s truly one of my greatest interests and hobbies. 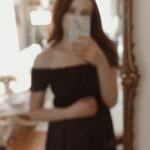 I love having conversations about art, and I wanted to share some of the things I love. I hope you enjoy!